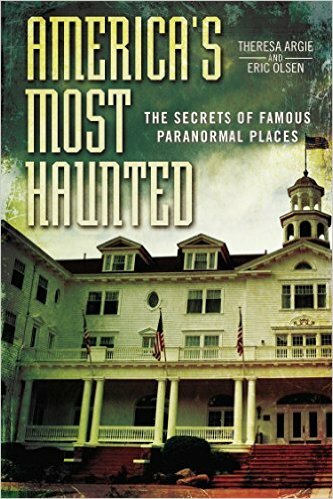 On a darkly fantastic episode of After Hours AM/America’s Most Haunted Radio — scintillating paranormal talk with hosts Joel Sturgis and Eric Olsen Thursdays 9-11pE — we welcome acclaimed and prolific novelist Laura Bickle to chat about the latest installment in her popular Wildlands series, Witch Creek. We welcome Laura at 10pE; at 9pE Joel and Eric review the latest paranormal news from the America’s Most Haunted Twitter feed. 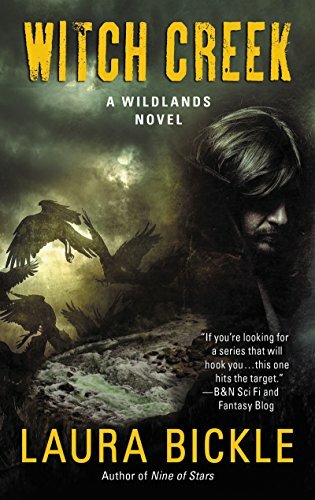 In the backcountry of Yellowstone, evil moves below the surface… Following Nine of Stars comes the next chapter in Laura Bickle’s critically acclaimed Wildlands series. Gabe is being held prisoner by the sheriff and heir to the ranch, Owen Rutherford. Owen is determined to harness the power of the Tree of Life—and he needs Gabe to reveal its magic. Secretly, the sheriff has also made a pact to free a creature of the underground, a flesh-devouring mermaid. Muirenn has vowed to exact vengeance on Gabe, who helped imprison her, but first…she’s hungry. Once freed, she will swim into Yellowstone—to feed. With her coyote sidekick Sig, Petra must descend into the underworld to rescue Gabe before it’s too late…for both of them. With her coyote sidekick Sig, Petra must descend into the underworld to rescue Gabe before it’s too late . . . for both of them. Laura Bickle grew up in rural Ohio, reading entirely too many comic books out loud to her favorite Wonder Woman doll. 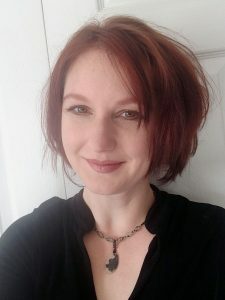 After graduating with an MA in Sociology/Criminology from Ohio State University and an MLIS in Library Science from the University of Wisconsin-Milwaukee, she patrolled the stacks at the public library and worked with data systems in criminal justice. She now dreams up stories about the monsters under the stairs. Her work has been included in the ALA’s Amelia Bloomer Project 2013 reading list and the State Library of Ohio’s Choose to Read Ohio reading list for 2015-2016. Q. What attracts you to writing about the monsters under the stairs? A. I write fantasy because I’m fascinated by the idea of a hidden world existing below our everyday world. I love the contrast between reality and magic and balancing the two in a believable way. My imagination can really run wild in that grey space in between what’s real and what’s not. A: I’ve always been scribbling, since I was old enough to hold a pencil. I didn’t believe, until recently, that other people would want to read what I wrote. It’s incredibly exciting to hear from folks who’ve enjoyed the stories I tell. Q. Do you have a favorite place to write or a writing ritual? A. I’ve gotta go crawl off into my hermit cave to write. I wish that I could write anywhere. I’m very envious of writers who can stake out some space in a coffee shop and get to work. I’m too easily distracted; I can’t write with the television on. And I can’t write around other people. I think it’s because I know that I’m chewing my lip and making weird concentration faces while I’m writing. I don’t think that anybody really needs to see that.